Want to know what love is all about ! Do you want to be where your heart is ! 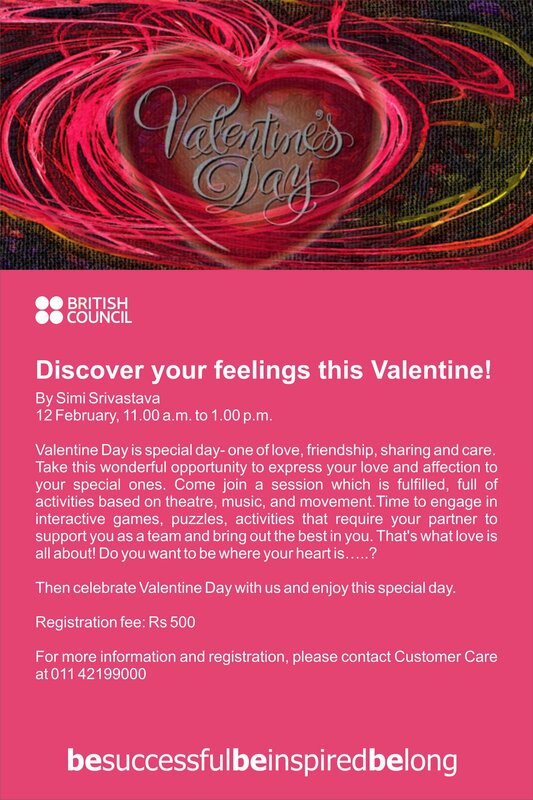 …that too at the British Council Library! And hey, go there with Rs. 500. Love lesson doesn’t come free. That’s what this poster says.